To maintain right pressure and cool the transmission, lubricate it wit best transmission fluid. 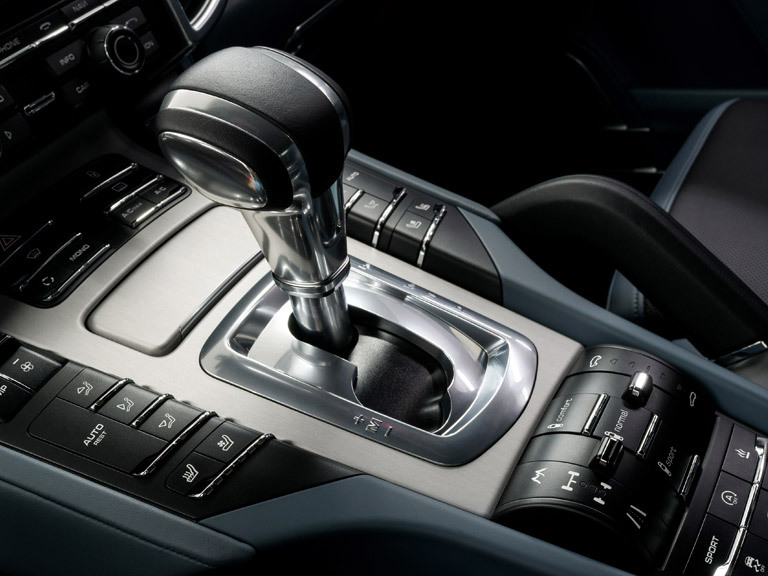 As manual as well as automatic transmission need fluids, when it is about an efficient transmission fluid the main consideration is automatic transmission. Why? Because manual transmission fluid only work as a lubricant on the other hand automatic transmission fluid lubricate, work as a coolant and hydraulic fluid as well. Most if not all failures in automatic transmission are because of overheating issues. Without using the transmission fluid, transmission will stop working and its repair can be very expensive. Unfortunately, no transmission fluid lasts forever and need to be replaced with time. It is necessary to replace it because with time, it will lose its capability to lubricate and cool because of the prolonged heating and contaminates. It is really recommended that transmission fluid must be changed once after every 40 to 60k miles or after every 2 to 4 years at least. Most if not all manufacturers today prefer the Mercon/Dexron series transmission fluids; however it is also very important to consider to car manufacturer’s manual to see the recommended transmission fluid for your car. Red Line can be considered as a strong contender among all the best transmission fluids available in the market. It can be used with Mercon or Dexron II, III, VI fluids. As an absolutely synthetic product, Red Line has better cooling effects that will be incredibility effective to preserve the life of transmissions. It contains a GL-4 level protection for gear that essentially means this is excellent for the protection of gears, transmission and transaxle as well. Because it is synthetic fluid and not the petroleum based, it has lower viscosity level at lower temperatures. This allows you to shift quicker in the cold weather. This excellent transmission fluid is extremely stable that means clutches and valves of your care will always be well preserved at higher temperature. Red Line transmission fluid performs better than all other recommended products offered by the company. It is suitable with almost all car models and performs with a huge difference in terms of smooth gear shifting. Although it is better than standard complete ATF change, Red Line is best insurance on transmission that is perhaps a highly expensive. Although you have to pay more for this, you are actually buying a most premium ATF. 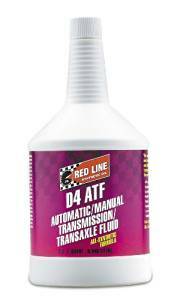 Generally, Red Line is an excellent product and you will save lots of bucks on your transmission. The AC-Delco ATF is the best for those who are looking value solution. ACDelco is a well trusted name in auto OEM world. It is the Original Equipment Manufacturer for Buick, Chevrolet, Cadillac and GMC parts. This fluid is a Dexron VI based that is really backwards compatible and performs with all Dexron based fluids. In terms of friction durability, oxidation resistance and stable viscosity, ACDelco offers advanced performance as compared to the previous Dexron fluids. It gives you longer transmission life and improved fuel economy. This is the cheapest fluid among known name brand. We believe its price on amazon is the best deal because even with shipping charges, it appears to be cheaper as compared to its price at a local auto store, particularly if your plan is to do a full ATF change i.e. around 3 to 4 gallons. ACDelco ATF is a completely licensed fluid produced by a well-known firm in auto industry. 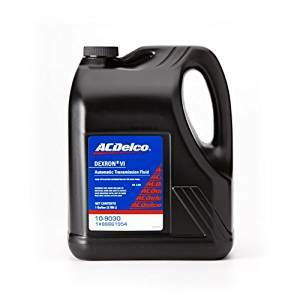 With the best transmission fluid like ACDelco, you will experience a great difference in your gear shifting and your transmission will last for long, which will be the biggest saving for you. 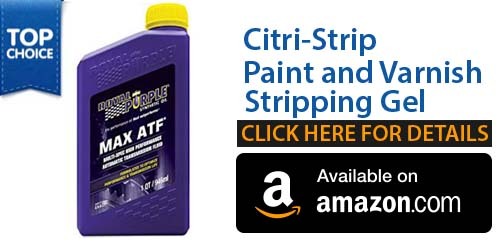 Royal Purple is best ATF for those who want transmission fluid that is pretty much compatible with all car models. It is a synthetic ATF with a low coefficient of friction, stable from oxidation and has high film strength. This means that it has reduced wear and heat, and it will last for longer period as compared to standard transmission fluid. As it is heat that causes your transmission to be unsuccessful in the longer run, Royal Purple ATF performs excellent as a coolant. The best thing about Royal Purple is that it can be mixed with any other transmission fluids. Although, best is to completely flush and replace your transmission fluid, if you really want to save some of your existing transmission fluid or if you don’t know which transmission fluid is best for your car, you can go with Royal Purple max. The performance of Royal Purple max is on the top. We have completely tested this fluid and compared it with other ATF that are recommended by various manufacturers and we found that it works the same at least if not better at around half of the price. We tested 2 similar same cars with the same mileage, gave one the other recommended ATF and other the Royal Purple ATF. After 2 years, we tested them for performance comparison and found that Royal Purple stood for its name. 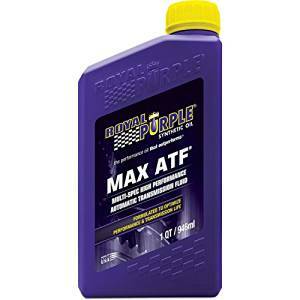 If you are one of those who need a versatile ATF, don’t look here and there and feed your car with Royal Purple Max look no further and get the Royal Purple Max ATF High Performance Multi-Spec Synthetic Automatic Transmission Fluid. If you are looking for one of the best engine oil, then you should take a look at Mobil 1 10361 75W-90 Synthetic gear Lube 1 quart. This amazing engine oil will provide with exceptional thermal stability and also it will provide a good resistance to oxidation that occurs in high temperature. Also because of minimal deposit, the gear and the bearing get an extended life and better performance. This transmission fluid offers extended seal life and also extended oil drain or service interval. Using this transmission fluid will definitely offer a great protection to high torque wear or low speed and also against scoring by high speed with an amazing ability to handle the rough driving situations and simultaneously offering a reliable and efficient overall performance. It also offers outstanding shear stability and is able to retain the viscosity and also the film strength to prevent any wear or tear due to the extreme rough conditions. It also provides exceptional protection of copper and copper alloys from the rust, corrosion and staining. There will be longer component life because of the reduced amount of wear. This transmission fluid will additionally provide the components with improved traction and reduced chatter with outstanding limited slip performance. 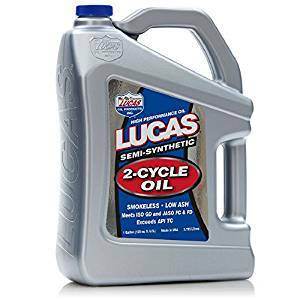 This is one of the best engine oil if you are looking for one and the name of this engine oil is Lucas oil 10115 Semi synthetic 2 cycle oil 1 gallon jug. There are many outstanding benefits of using this transmission fluid and these are described in this short review. This transmission fluid will offer the “smokeless” clean burning, that is very efficient and is also very environmental friendly. And also it will effectively increase the fuel economy and the overall performance. Another great advantage of using this transmission fluid is that it can work efficiently with the gasoline at all temperature, so that you don’t need to heat up the engine to that certain temperature. Also it meets all of the requirements for “low smoke” oils and it will also produce low ash. Another great benefit of using it is that it can be used and is suitable for air cooled engines. If you use this for your engine, there will be no clogging of filter and it will offer longer engine life as well. Conclusion: What to look for before making a purchase of Best Transmission Fluid? Always check for the viscosity of the motor oil. This is very important. The viscosity of the oil will determine its flow. The oil classification codes that are labeled on the container of the oil. If you engine doesn’t perform with the current engine oil, try to switch to a different brand of engine oil. You can purchase multi-weight engine oils will cover a good range of temperatures. If you live in a generally cold climate, then you should purchase those engine oils that have lower number before W on the engine oil container.